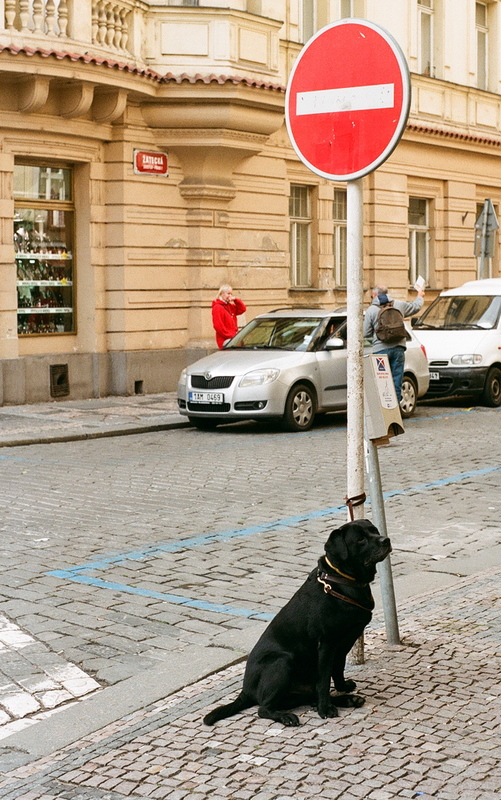 A retriever awaits his human, outside of a pharmacy in central Prague. Left to his own devices, what kind of life might a domestic dog choose for himself? 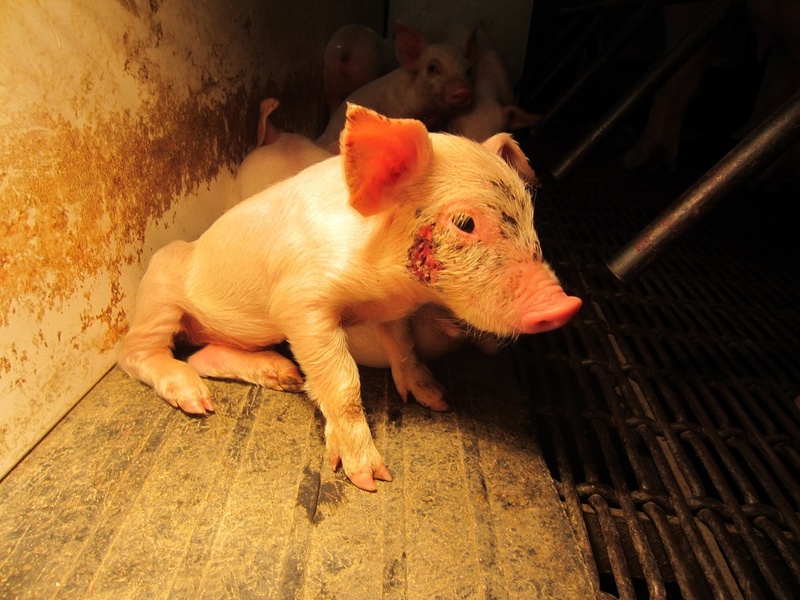 How do people protect their psyches, in jobs that demand violence against animals? How relevant are the differences between humans and non-humans? Across Europe this month, experts in animal law, zooethnography, and other areas of the young field known as human-animal studies (HAS), are convening to share and build ideas. Having recently studied human-animal relations in my own grad program, I’ve decided to come along and mull through the most useful and interesting insights I hear, for a general audience. The language of scholars can be flummoxingly high falutin, so I want to see if I can do for these ideas what Scientific American does for astrochemistry. I plan to write a short article here, each day for the next three weeks; to stay tuned, you can subscribe to Sentient Cincinnati (by hitting the “follow” button at the top or bottom of this page), or keep your eye on my Twitter account. More after tomorrow’s 23 talks and one vigil–thanks for reading! In a move almost as confusing as its monthly bills, Duke Energy has proposed a 10-year rate plan that would impose a new “capacity” fee on both its own customers and those who have switched to other electricity providers. 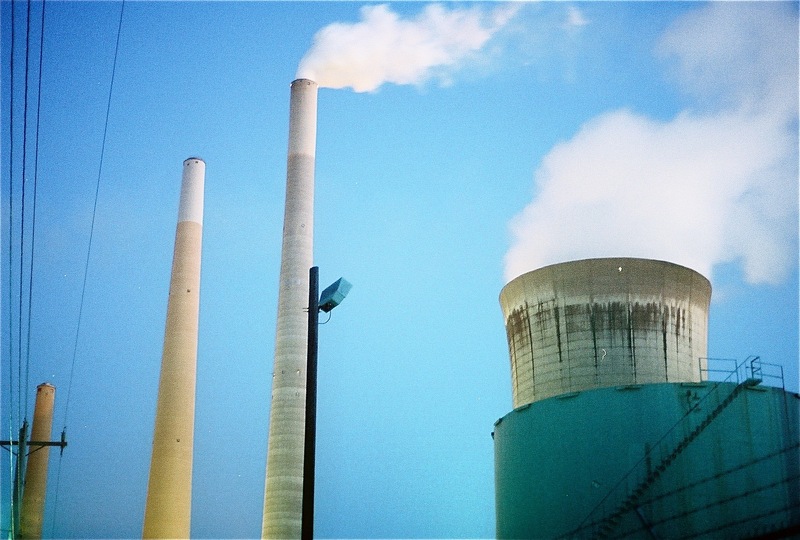 While the Public Utilities Commission of Ohio (PUCO) evaluates the proposal, Cincinnati residents are considering an unrelated ballot measure that would enable them, as a group, to take their business away from Duke and give it to a lower bidder. Under Duke’s proposal, its customers would now find their energy charges “unbundled” into two components: The cost of generating energy, which only they would pay for; and also Duke’s more hypothetical “capacity” to generate energy, which everyone on the local grid would subsidize through the proposed fee. 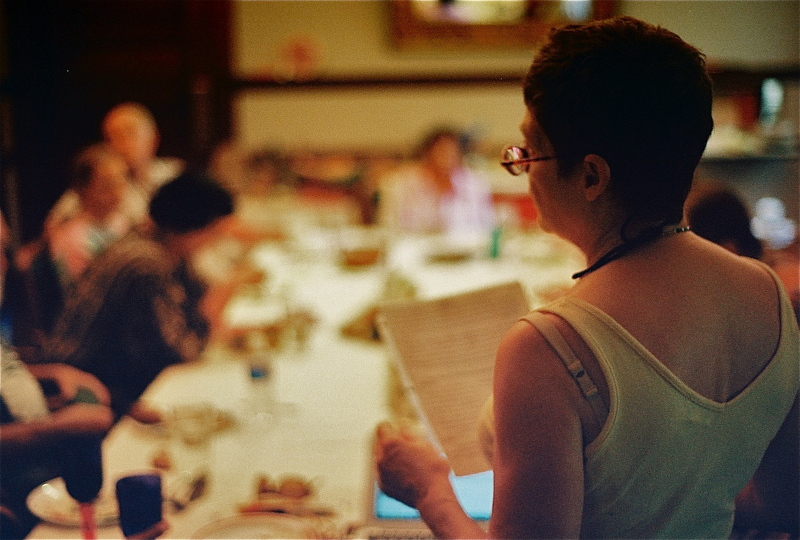 Ellen Bierhorst presides over the final Lloyd House Salon at her Clifton home. If Cincinnati were Paris, Ellen Bierhorst would be its Gertrude Stein. In July the 71-year-old psychotherapist-poet ended her Lloyd House Salon, a gathering in Clifton where some of the city’s most engaged citizens grappled with local leaders and each other about politics, art, life and death. Open to anyone and any topic, the salon convened every week “come hell or high water” for 10 years. Free from the confines of short soundbites, visitors to the salon such as mayors, City Council members and aspiring public servants often used the forum to stump and debate, and Lloyd House “salonistas” relished the chance to cross-examine them around a potluck dinner table. Longtime salon-goer Steve Sunderland, 71, a professor of peace and educational studies at the University of Cincinnati, remembers a visit from Hamilton County Commissioner David Pepper as emblematic of what made the salon unique. “He stayed the whole evening, and people had an opportunity to talk to him about what his background was, what his dreams were,” Sunderland says. 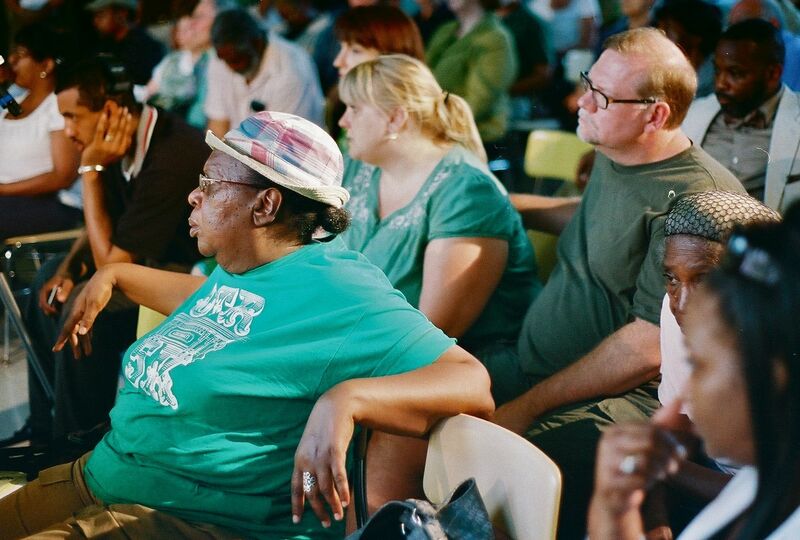 Residents at an Aug. 16 public hearing wore green to express their support for the Office of Environmental Quality. Among a standing-room-only crowd at a former Catholic church in South Cumminsville, a swath of green t-shirts materialized Aug. 16 on residents opposing a budget proposal that would dismantle Cincinnati’s Office of Environmental Quality (OEQ). The public hearing of City Council’s Budget and Finance Committee began with City Manager Milton Dohoney Jr.’s presentation and defense of his proposal, and concluded only after 36 residents had responded before the committee. Council will vote on the plan Aug. 31. Among those who addressed council, 18 spoke in support of continuing to fund OEQ, with two using the phrase “penny-wise and pound-foolish” to describe the proposal; none defended it. “Why on earth are you even considering dismantling an office whose effect on the budget alone is positive, in excess of 25 times its cost?” William Messer demanded of Council. City statistics reveal the single OEQ project of overhauling Cincinnati’s recycling program this year will save more money — $930,731 in 2011 — than the city expects to save by eliminating the office, which is estimated at $225,030 by 2012.